It was January 2nd 2011 that Paul made his resolution. This was to be his year, the year that his betting bank started heading north, the year he took things seriously. He started out with a small list of do’s and dont’s for his betting and went on to have his best year ever. I’ll share Paul’s original do’s and dont’s list with you shortly, but first let me explain what you have signed up for. Our goal is to help as many people as possible to become successful with their betting in 2013. Over the next 7 days we will share with you one lesson per day that we hope will help you and many others be a winner in 2013. We hope to convince you that it is possible to be a long term profitable bettor and more importantly that it is possible for you! We have a lot of great material to squeeze into the next 7 days and with just one email per day they will be quite long. Before I tell you what’s in the mails, I’d like to ask a favour of you? I’d like to ask that you read all of the emails all the way through as soon as they arrive. If you can make that small commitment I guarantee it will make a difference to your betting. Deal? The fact is we have to be in this together and reading all of the emails is the first step towards your success. I’m counting on you to take part otherwise my time is wasted. Ok, good. Next a little housekeeping before we get on to what will be taught. The daily emails will have a subject line that starts with [2013 Res]. This will help you to know what they are instantly. If they don’t arrive check your spam folder as that may be where they ended up. There are four traits that all successful bettors have. We have listed them below in reverse order of importance. 4. Winning Selections – Yes that’s right the least important factor in betting success is a source of winning selections! I know many of you reading this won’t believe this and maybe this is where you’ll stop reading. But I promise you it’s true and I hope that by the end of the 7 days you will realise this fact. The only use for free selections or free ratings is if you are adding some value in some way or using them in a way that the majority are not. Not crap you’ve seen before. Real winning strategies that are the result of detailed research. 3. Money Management – Boring but true and so important. Proper management of your stakes and your betting bank can be the difference between success and failure. 2. Mindset – Again boring maybe but honestly good mindset and money management skills are more important than selections. We will deal with these two tomorrow before we get to the winning strategies. 1. The number one success factor is the key to everything. Get this right along with 2 & 3 and 1 matters even less. In fact there are successful bettors who don’t care what they bet on as long as they get this aspect right. For that reason I’m going to save it and share it on day 8 with the few who make it through to the end of this series of emails. Day 3 – A Racing strategy that will find you winning bets that most ignore. So I promised you that I’d share Paul’s rules that got him started on the road to success. Paul’s story and many others have been my inspiration for the tactics and systems that I want to share with you over the next few days. Whether you need to do something similar depends a lot on your personality and character. I know that Paul has these rules on a card in his wallet and quickly reads through them before committing to a bet and that’s what worked for him. Tomorrow we’ll look a bit more at the basic skills you will need to succeed, before we get onto the winning systems & strategies. Thanks for reading this far, watch out for my email tomorrow. If you think you know the number 1 success factor then please add a comment here, there will be a prize for the first correct answer. PS Tomorrow I’ll tell you about the greatest form man that ever lived, an absolute genius and I’ll tell you why he lives on baked beans and sausages! number 1 rule I think is expect to win in the long term, not overnight. It must be Discipline. I think i may be right as im 62 years old and have never had any with my betting -Untill now. this is good information you are providing and am determined to follow this through. number 1 rule,discipline stick to the rules ! number 1 is only bet on value bets(possibly with correct staking plan). ie. price offered by bookies is higher than should be. ie. bookies offer 3/1 when should be evens fav dead cert. Always bet on these value ones and you will always win long term especially with correct staking plan. ie gradual increase in stakes according to bank size and retrieves loss over a period of bets. 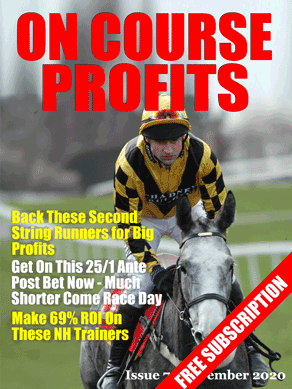 As long as you have value bets and reasonable strike rate you will be miles ahead in no time. I believe ‘Patience’ is the main criteria. i dont know what the number 1 success factor is but i know im sure to find out! thanks guys really interesting read and learnt abit already..cheers! Number one rule….clear mind,cold heart and bet if you believe your selection!…(not easy for me everyday)!! I think never spend more than 10% of your bank on each bet. The number one rule I would say is discipline,and know yourself. undoubtedly,the number one rule is Price.